Acne is a worldwide major concern for millions. It is a very common skin disease that affects all ages and race. An estimate of eighty percent of teenagers and young adults experience an outbreak at a point in their lifetime. Acne may represent itself by showing on the surface in the form of blackheads, cysts, nodules, papules, pustules, and or whiteheads. There are numerous cases of silent despair that follow this leading concern such as anxiety, depression, lowered self-esteem, scarring of the interior and exterior. Thousands have turned to oriental medicine in search of a solution to this never-ending battle. Oriental medicine is a traditionally promising form of medicinal healing dating back five thousand years. Acupuncture and herbal formulas have been advancing exceedingly and widely spread all over the world. The early teenage and adult years introduces the mass production of testosterone and hormonal development, in both sexes. Oil glands begin to harvest extra oil leading to the clogging of pores along with the growth of bacteria. Pimples and sebum begin to develop sequencing in acne. Taking birth control pills, family genes, hormonal changes during pregnancy, certain medication influence the presence of acne. It is important to visit one’s primary care physician and a dermatologist to receive a correct diagnosis to aid in one’s treatment process. We know what fuels the bonfire so what is the source of putting out this disastrous flame? 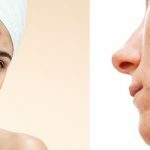 In Traditional Chinese Medicine, it is critical to locate the root cause of the acne epidemic. The explanation of where the acne is directly coming from helps practitioners treat with precision. The spleen controls the oils the body produces. The excessive formation of blackheads and pimples is due to the imbalance of hormones. Treatment plans will involve stimulating the internal organs as well as the facial exterior. Extra precautionary care and prevention is the best cure for acne. Healthier diet (resist sugary and spicy foods) and lifestyle choices benefit the overall health with increased vitality. Exercise regularly, avoid alcohol, and smoking. Avoid touching and coming into contact with the facial skin. Do not pop, squeeze, or aggravate existing pimples without professional assistance. This can result in scarring of the tissues. Maintain personal hygiene to keep free of excess bacterial infections. Manage of emotions and stress by practicing meditation and mindfulness. The chances of acne resurfacing are fairly high. In eastern treatment, practitioners will treat acne by assessing various affairs pasturing from childhood experiences, family medical history, to the current lifestyle, and so forth. It is a promising method of analysis that guides the practitioner to obtain precise data to provide the perfect treatment for that specific individual. Consultations with Kyoungyi Pyo, MSOM, L.Ac, and L.MT may unveil various medical affairs that triggered the condition to emerge. The most effective treatment will involve Ms. Pyo to clean the affected area as well as treating the patient on the inside and out. Acupuncture needling, pill form and liquid decoction of herbal medication, a deep pore cleansing facial rejuvenation, and light therapy will be utilized. During the first session, patients’ pores will be opened and an estimate of 80% of blackheads, whiteheads, pimples, dead skin cells, etc. will be extracted. Acupuncture and medical grade light therapy will be used to complete the treatment. Treatment plans will be discussed during patient consultations.